La recensione di Artur Chachlowski sull’edizione polacca di Metal Hammer. Reset recensito sul MLWZ, il sito dell’amico Artur Chachlowski. Dopo aver messo tre brani del disco nel suo programma, Artur Chachlowski ha pubblicato su MLWZ una fantastica recensione di Apeirophobia. Grazie mille ad Artur e a Vini! È bello osservare lo sviluppo della carriera dei musicisti rock. Yesterday the 10th of November three songs from Apeirophobia played in the fine MLWZ radio show (Radio Alfa – Krakow, Poland) directed by Artur Chachlowki. Thank you Artur for your friendship and for the space you keep on dedicating to our music! 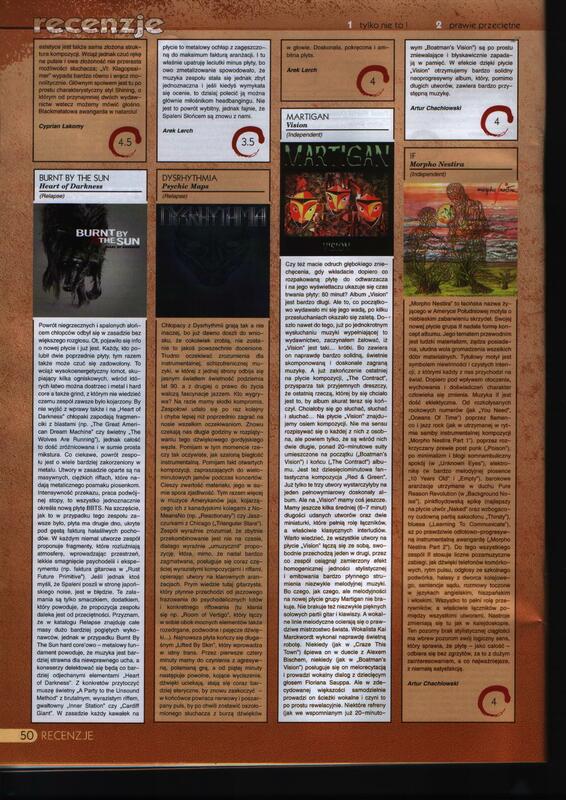 Artur Chachlowski published his review of Morpho Nestira on the Polish edition of the magazine Metal Hammer. His review appear on page 50 of the issue of september that Artur sent us. Thanks a lot Artur for your constant support. Artur Chachlowski published some weeks ago a review of Morpho Nestira in Polish… well it was quite hard for us to understand if he really liked our work ;-)! Yesterday Artur has republished his review translated in English on his MLWZ and… thanks a lot, what a great review!!! We’re so happy for your kind words. Dario Lastella sent us the new album of his band If writing “Hope you’ll like it more than you liked The Stairway”. In fact three years ago, when I received “The Stairway”, I was “half satisfied”: the album was too various in styles and not all the musical ideas in it convinced me. As I wrote in the previous post, Artur Chachlowki published a review of Morpho Nestira on his page MLWZ. 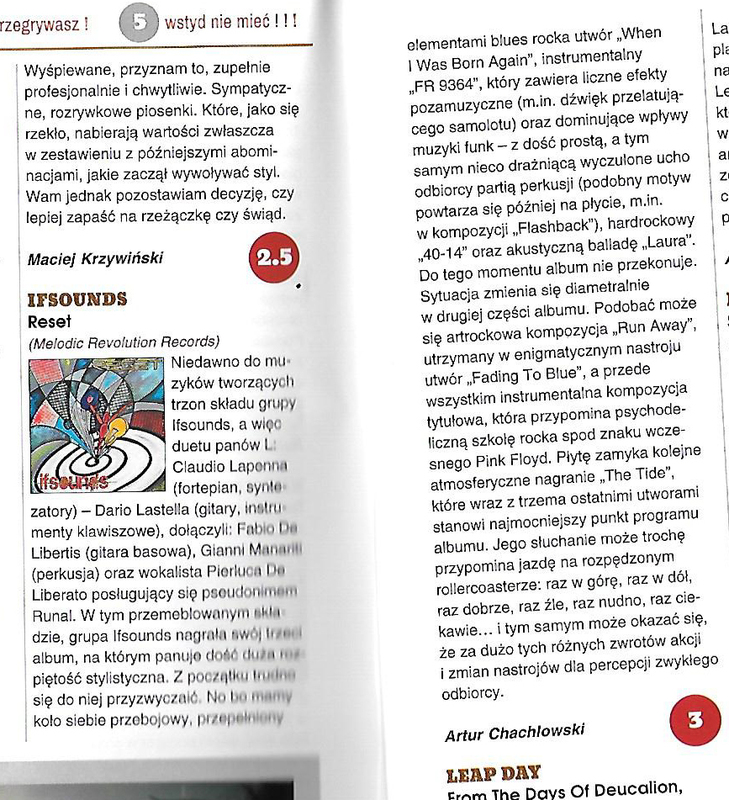 Here’s his review (in Polish…). Our friend Artur Chachlowski will play several songs from Morpho Nestira on his show MLWZ broadcasted on the Polish radio Radio Alfa 102.4 in Krakow. The show will be on air from 8 to 10 p.m. Wednesday the 6th of May, and will be available by podcast on MLWZ page. It’s the second time that Artur plays our music, the first was after the release of “The Stairway”… thanks a lot, my friend!! !